Can biomass pellets reduce emissions in coal plants? India’s largest power producer, National Thermal Power Corporation, recently said that biomass pellets will be used for co-firing coal power plants across India. The step was taken on the basis of a successful pilot at NTPC, Dadri in 2017. The project showed that it is feasible to co-fire the biomass pellets up to 10 per cent of total coal consumption of the plant after minor modifications. The pilot was conducted after the Ministry of Power directed NTPC to source straw pellets to overcome pollution caused by stubble burning around Delhi-NCR, thereby creating a market for the unused stubble. Stubble burning is one of the significant sources of air pollution in North India, especially at the onset of winter. In Delhi, up to 32 per cent of the total concentration of PM 2.5 in the air is attributed to stubble burning. To deal with this situation, the ministry came out with the policy on biomass co-firing in pulverised coal fired boiler. The use of torrified biomass pellets in plants doesn’t require extra capital for infrastructure. It also avoids the risk of loss of generation due to alternate fuel availability. The idea has gained traction amongst several power sector players due to perceived advantages (see box below). · Coal import can be substituted. · India has the 145 Million Tonne (MT) per year surplus biomass available which can substitute the part of the coal import which stands 208MT in 2017-18. · Reduction in overall emissions of the plant. · Reduction of overall sulphur and nitrogen content by 17 per cent and 3 per cent if coal samples mixed with 5 per cent of biomass pellets. · Reduction in GHG emissions. · Several European countries like Finland, Sweden have already adopted the technology in a big way to combat with the rising pollution in the country. The Central Electricity Authority recently notified guidelines for agro residue-based biomass pellet to ease procurement. They address concerns regarding technical specification, price and quantity adjustments. Variations in price occur due to Gross Calorific Value and in quantity due to moisture and ash content. 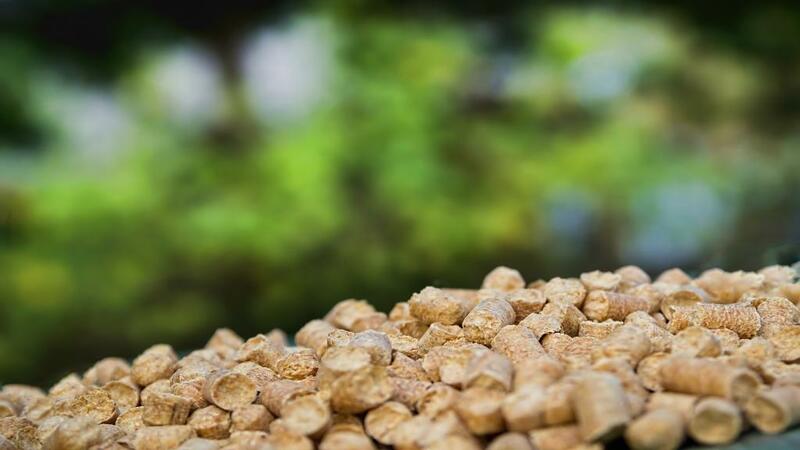 The policy has also laid down the testing standards of samples and sampling procedure of biomass pellets. This policy is a shot in the arm to the thermal power plants in the Delhi-NCR region. There is significant potential of burning biomass pellets in these stations, and such guidelines can help to expedite the formation of purchase tender documents. Already, the state generation company of Punjab has decided to install the 60 MW biomass plant in the state.